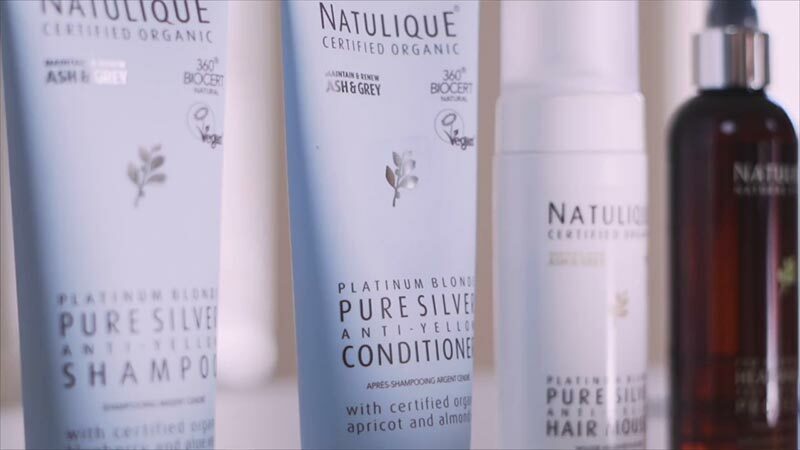 Inspired by the fashionable Danish ash and cool grey hair colour trends, NATULIQUE presents the NEW Pure Silver Family for blonde, ash grey and coloured hair.Creates cool ashy tones and subtle silver reflections. Adds a beautiful silvery brightness to grey hair. Removes and prevents yellow and orange tones. Effectively restores and lifts hair tones. Inspired by the fashionable Danish ash and cool grey hair colour trends, the NATULIQUE Pure Silver Hair Mousse is a leave-in conditioner, perfect for detangling and fantastic as an on-the-go conditioning treatment. I NEED THIS PURE SILVER HAIR CARE IN MY SALON!